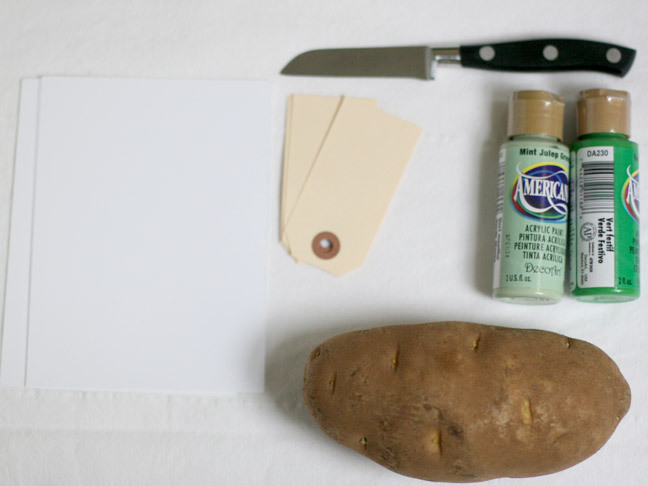 You don’t need fancy stamps to make a fun decorative St. Patrick’s Day card, if you have a rustic potato on hand! 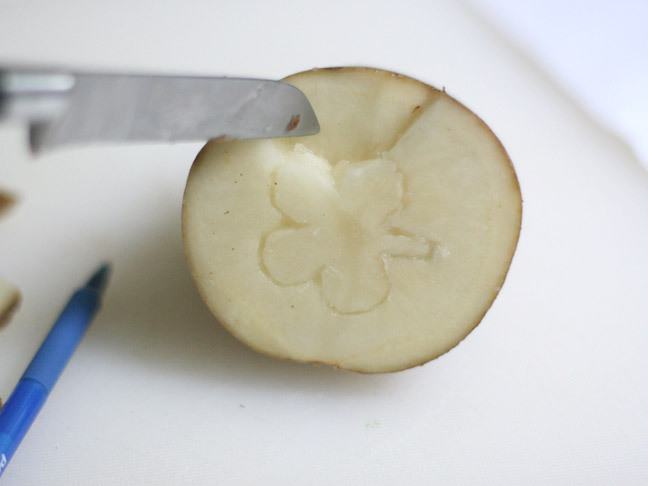 With a few minutes of carving you can create any shape stamp from a potato. A great activity to do with kids and toddlers, the large potato makes it easy for small toddler hands to hold and control. 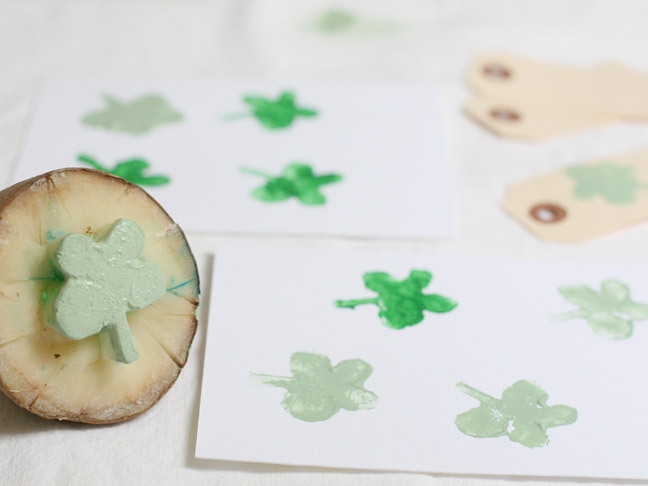 They’ll love decorating cards with four leaf clovers, or any other shape you choose! 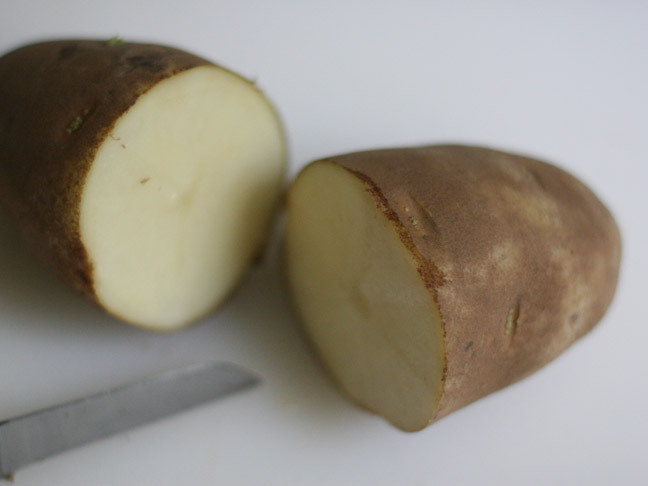 Cut the potato in half down the middle. Make sure the cut is even. 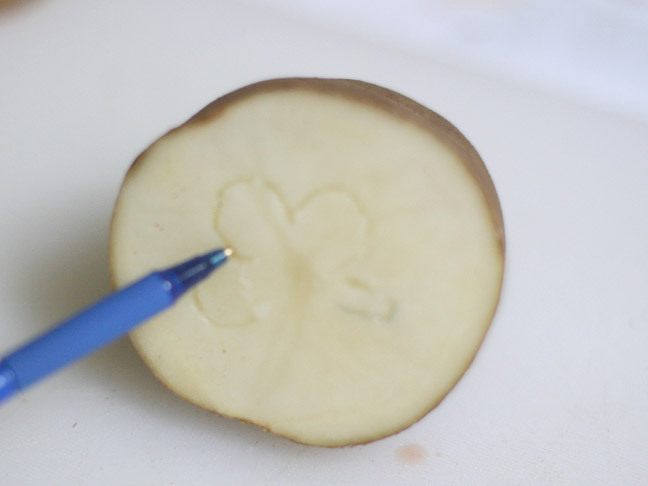 With a pen first, carefully dig and crate the shape of a four leaf clover. It’s easier to use a pen first to move around those curves. Once the initial shape has been made, reinforce deeper with the pen and then start to carefully cut around the shape with the knife. 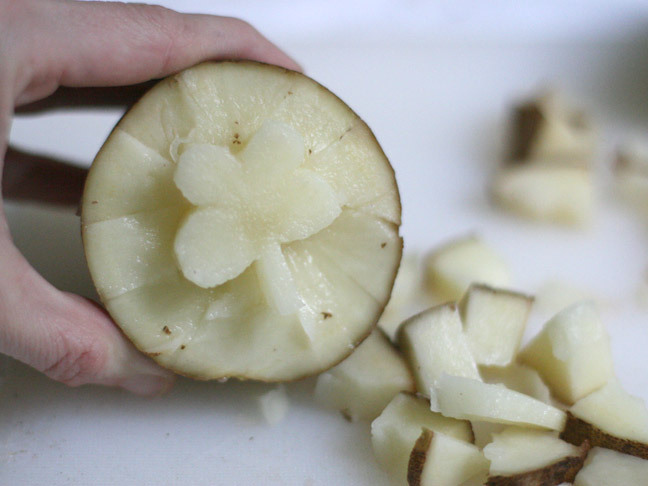 You’ll want to leave the clover sticking out in the middle and remove the potato from the sides around it. Keep cutting around until it’s at least ¼ inch deep around. To dry it off quickly before stamping, I put it in a warm oven for about 10 minutes. 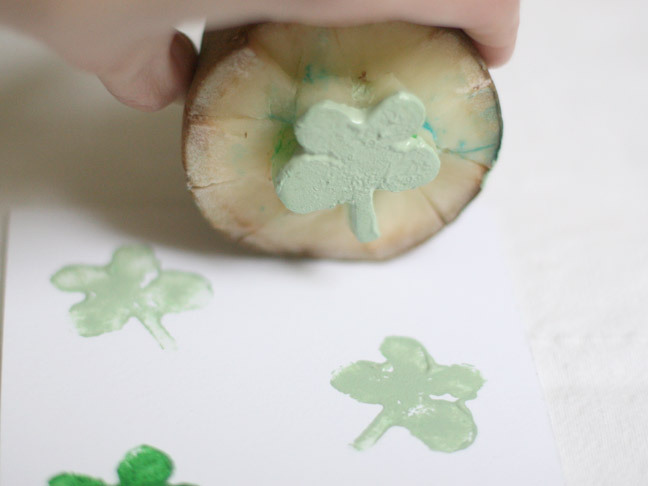 Dip the potato in ink and your kids will have fun stamping St Patrick’s Day cards. The less ink the better.